Time magazine is certainly no stranger to in-depth editorials, but a recent article penned by the Center for Jewish History is sure raise Christian interest. Evangelist Billy Graham has written an article for the Kansas City Star in which he argues for the existence of Christ. For years, some scholars have doubted the historical accuracy of the fourth Gospel. But a dip in the pool of Siloam will cure that. 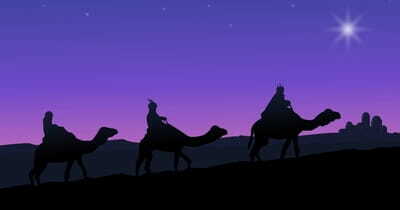 Did the Magi Really See a Star? What was the star of Bethlehem? Was it a comet? An angel? Perhaps a rare alignment of two planets in the night sky? One biblical scholar shares his answer. An ancient seal of the Biblical King Hezekiah has been found at an archaeological site at the foot of the wall that surrounds Jerusalem’s Old City. A Filmmaker has made a journey of faith to prove if the Exodus story as described in the Bible was a real historical event.